DK Tax Service, Santa Clarita, United States - Tax Preparation Services, In Santa Clarita, CA. DK Tax Service - Tax Preparation Services, In Santa Clarita, CA. 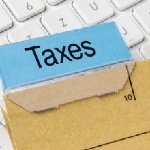 We, at DK Tax Service, provide the best tax preparation services in Santa Clarita, CA. We hold a unique distinction is handling the income tax preparation related projects from our clients.